SETUP: 3 Lines, all players with a ball. Focus on body shape and delivery of pass. 1. 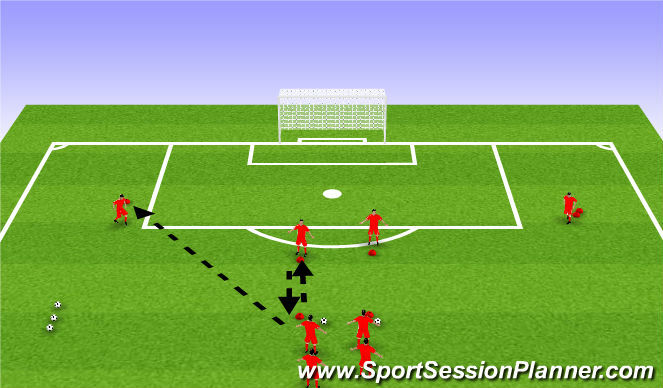 Players receiving the ball start seperate away to receive the pass, the idea is their first touch must take them through the blue mini gate, if their body shape is good then it will be possible. 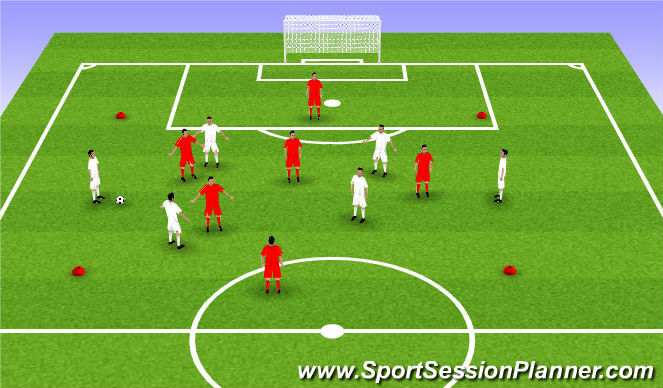 - Object is to retain possession off the ball and switch play to end players. 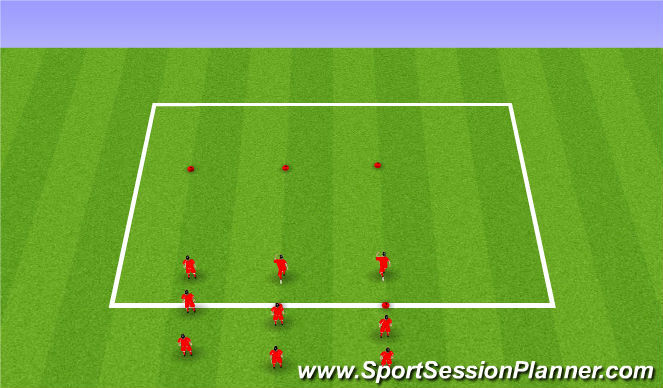 - End players dribble in from pass from players in the middle. 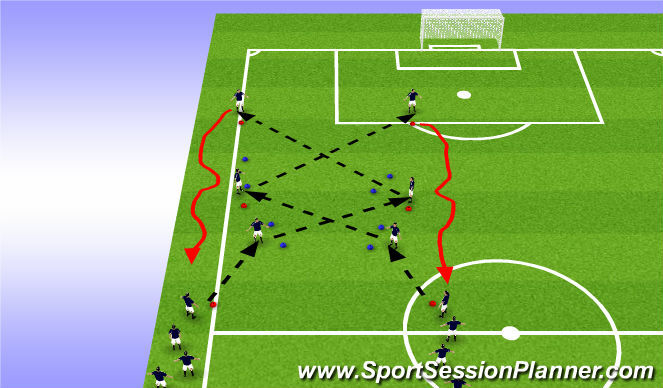 - Tempo of pass, movement off the ball. 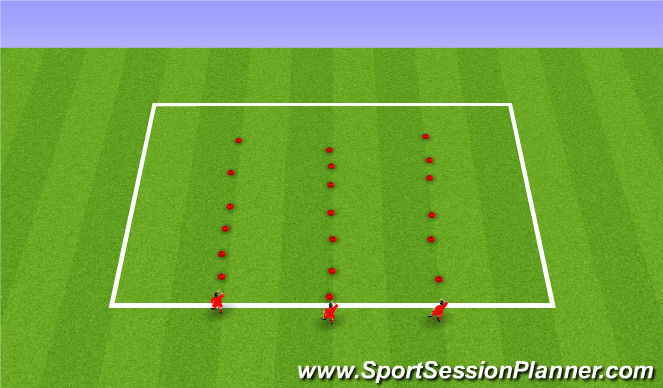 - 1-2s, dribbling past players etc.